“I want to thank the Bulgarian audience – you are amazing! This arcade was a huge problem for me because I was perfectly prepared. The blood only made me more hungry. I proved that there is no stopping me. I can do anything” were Kubrat’s first words after the drama in Costa Mesa. “The most important thing is that I overcame the arcade that happened because this is box. I was glad my cut-man in the corner managed to close the arcade and did a perfect job. I had to be tough and lead the fight, even to intimidate him. I legitimately knocked him out. This has never happened to me in my life. Sometimes what tries to put us down, makes us stronger.” added Kubrat who knocked out Bogdan Dinu in the 7th round while having an arcade since the 4th round. “I thank everyone who was beside me. I want to thank the people who were in the hall, I want to thank the ones who were with me in front of the TVs, during this tough hour for Bulgarians. I want to thank anyone who was with me today, no matter if we know each other or not. I want to thank the ones who wished I didn’t win. 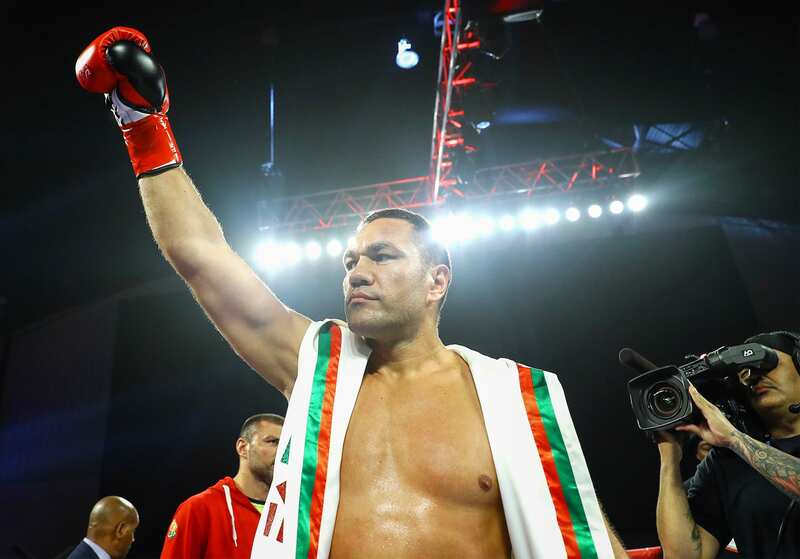 They also made me stronger.” finished Pulev.